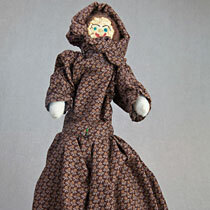 The doll with the large ears is called “Wolf”! to represent the hunter, who tracks and catches needed game animals. 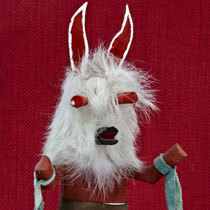 His mask is rabbit fur and his eyes, mouth and ears are made from wood. The word “Wolf” is painted on the bottom of the wood base. I am a Hopi Indian. My name is Aponivi, and I am10 years old. Hopi means “peaceful person” in the Hopi language. The Hopis are a nation of Native American Indians. We live on a reservation in Arizona, not far from the Grand Canyon. Our nation is led by a tribal council. Almost all of our people speak English, as well as the Hopi language. I have two younger brothers and a baby sister. My mother carries my sister on a cradle board on her back. The women of our tribe are in charge of the house and the family. My father is a farmer, and he grows corn and beans. Both of my parents love to tell stories. The stories keep the history of the Hopi Indians alive. Another way we preserve our culture is through our kachina (katsina) dance and dolls. 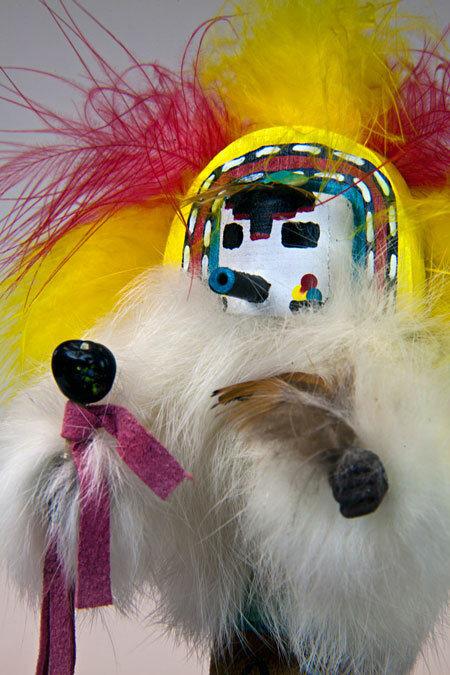 Kachinas are like a religion to us. 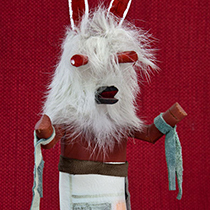 We believe that kachinas can bring us rain; help corn grow; protect us from harm, etc. 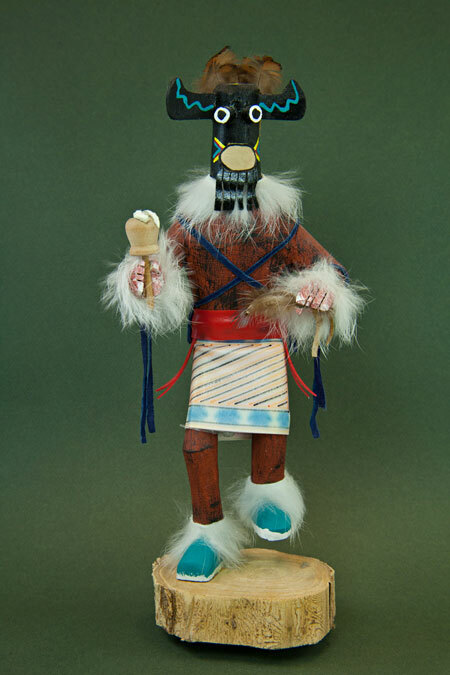 Each kachina is believed to be the spirit of an animal, bird, plant, object, place or person. 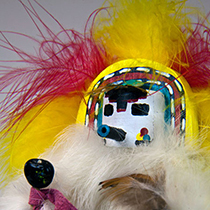 For example there is a Wolf (Kweo), Eagle (Kwahu), Sun (Tawa) and Chief (Eototo) kachina. 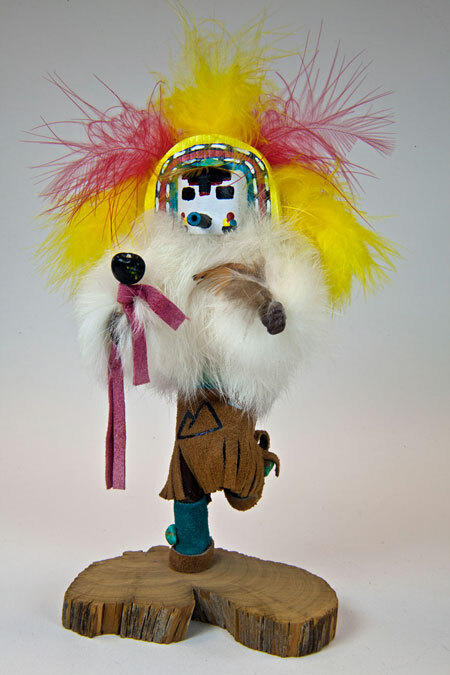 There are more than 250 different kachinas. They help us to live in harmony with nature. 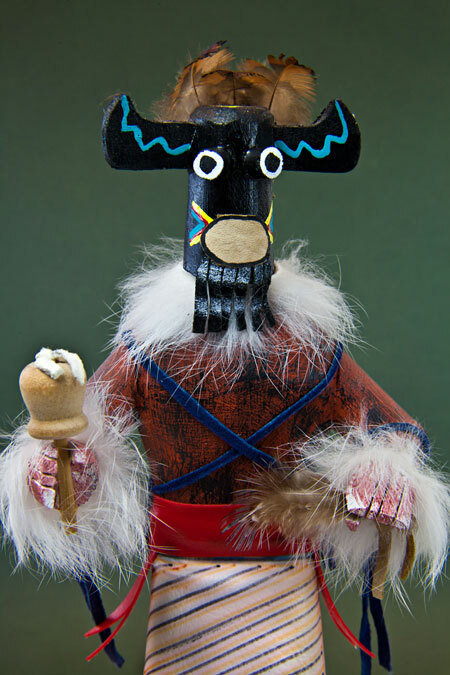 Several times a year, we have a kachina dance. Now that I am 10 years old, I can dance along with the other men and boys. 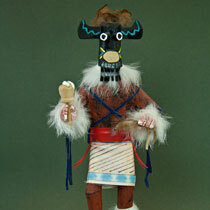 We all dress us in costume and wear a kachina mask. The dances take place from the first part of spring through the fall harvest. 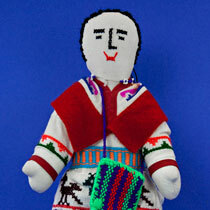 To help us learn about the kachinas, our mothers make kachina dolls. My baby sister has several near her bed. 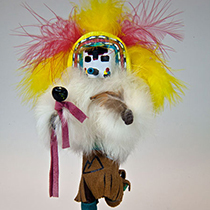 The kachina dolls are carved from the roots of cottonwood trees. Then, they are clothed with leather, feathers, wood, and other materials. 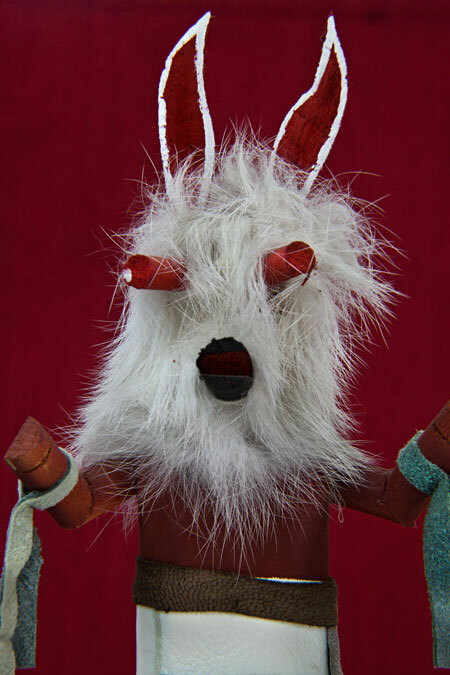 For example, if it is a Wolf kachina, it will have a mask with ears and a large nose. 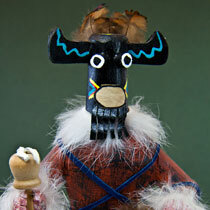 I’m not sure which kachina I will portray in the next ceremony, but I will be proud that I am a Hopi.